Are you paying for telecom services you don’t need? Find out with our free ‘Maximize Your Savings – Phone Bill Analysis’ program. Let’s be honest – those phone bills can be a pain to read. Pages full of charges that are hard to follow make it difficult to determine what you are paying for. That’s where our experts can provide an analysis and alternative pricing. For a limited time, let a Blue Chip review your phone and data bills. We continually find customers over paying for services they don’t need or never cancelled. We have many customers that are saving thousands of dollars per month. We will review your bill, and when necessary, recommend any changes that in most cases improve you voice and data services. Simply fill out the form, and a Blue Chip rep will get back to you and start the process – and remember it’s all free to you! Looking for help with your technology initiatives? Blue Chip can provide you with a host of managed services in addition to UCaaS. Our 35 years of experience can help you focus on your business while we worry about your technology. Blue Chip delivers high performance networks. 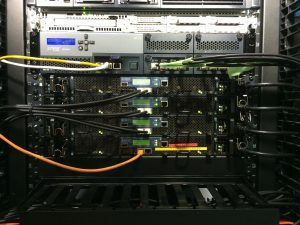 Switching from Avaya PBX to 3CX? Keep your IP Phones and Save More! © WirelessPBX 2018. Theme designed by CPOThemes.